Mt. Haleakala on the island of Maui in the State of Hawaii, is the longest continual uphill cycling course in the World. It starts at ocean level in the coastal town of Paia and ends at the summit of Mt. Haleakala, 35 miles away at 10,023ft in altitude. With a total gain of 10,547ft, Haleakala is the most difficult paved cycling course in the USA. 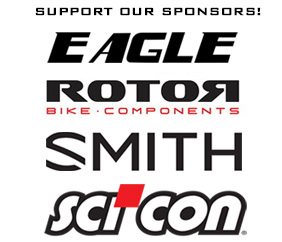 Riding a custom made Eagle Bicycle (Jon is an ambassador for Eagle), equipped with a Flow and Q-Ring crank system by Rotor Bicycle Components, and wearing a Smith Sport Optics Podium TT helmet, Jon finished the course in 4 hours and 39 minutes. I wanted to do something big for my 1 year heart attack anniversary – something that will inspire other heart attack survivors to fight back and push forward to improve their own health and quality of life. The most important message that I have – that Summit4CAD has – is that you cannot look at a person and know if they are suffering from CAD. It’s so insidious and in too many cases silent. I want people to look at me and say “If it happened to that guy it might happen to me” and I want them to be motivated to get screened. Especially if heart disease runs in their family or they have any of the main risk factors. The best way to ensure that you survive a heart attack is to ensure you never have one to begin with. The VAST majority of people who experience what I did will not survive. And that’s simply not acceptable. Jon has several more iconic mountain climbs scheduled in the coming months. Summit4CAD is just getting started. Please check back often for additional updates.